We provide diversified manpower for the multifaceted projects we work on for our clients. Following is an assortment of manpower that we provide for the different international projects. 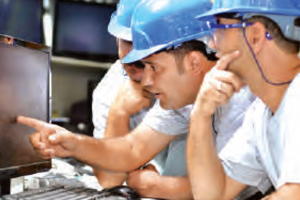 Boiler Engineer, Ceramics Engineer, Chemical Engineer, Chief Engineer, Civil Engineer, Commissioning Engineer, Construction Engineer, Contract Engineer, Controls Engineer, Cost Engineer, Design Engineer, Drafting Technician, Drilling Engineer, Electrical Design Engineer, Electrical Engineer, Electro-Mechanical Engineer, Electronics Engineer, Environmental Engineer, Environmental Health Safety Engineer, Equipment Engineer, Fire Protection Engineer, Health and Safety Engineer, High-Pressure Engineer, Industrial Engineer, Instrumentation Engineer, I& C Engineer, Maintenance Engineer, Marine Engineer, Mechanical Design Engineer, Mechanical Engineer, Petroleum Engineer, Piping Engineer, Planning Engineer, Plant Engineer, Process Control Engineer, Process Design Engineer, Process Engineer, Project Controls Engineer, Project Engineer, Quality Control Engineer, Structural Engineer, Technical Support Engineer, Telecommunications Engineer, Test Engineer, Transmission Planning Engineer, Turbine Engineer, Welding Engineer etc.